The California Institute of Technology is one of the world's most prestigious research universities. It's situated in Pasadena, northeast of downtown Los Angeles. As of late 2018, the school's alumni and faculty include an incredible 73 Nobel laureates. While the school has historically kept a fairly low profile, its appearance on the hit comedy Big Bang Series has elevated general awareness of this research powerhouse. 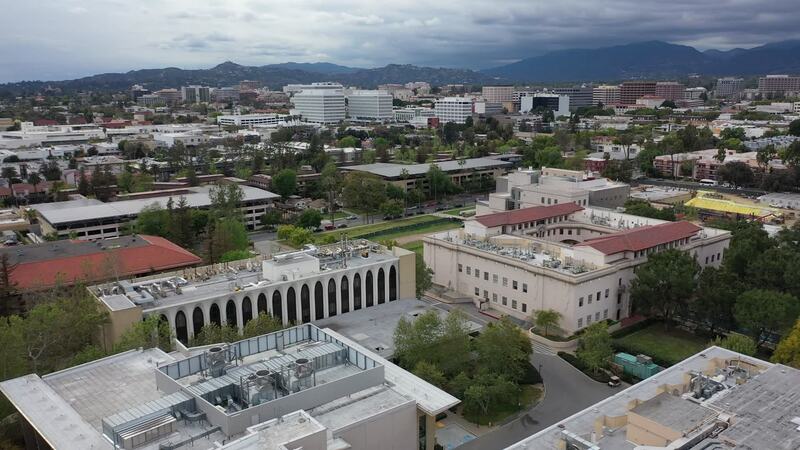 You can see the Caltech campus from above in this video by Mavictraveler. Description: I love the TV show Big Bang Theory, so I had to get some footage of Caltech when I was in LA. It's not a particularly large campus but you can feel the brainpower here.